Hi my name is daniel and i'm looking to have an package product image created for a product in the fitness industry. it's in the weight loss industry. i have attached a few mock ups of the ones i want mine modeled after. Please review the photos i've uploaded. Here's what i expect from this. 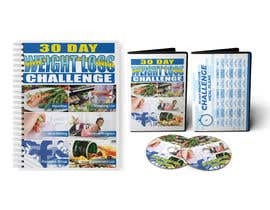 I'm selling a 30 day weight loss challenge. This is what is included. 1. meal plans 2. shopping lists for the meals. 3. daily motivational emails 4. at home workouts that are easy to follow and don't require much effort. 5. 63 delicious mouthwatering recipe book. 6. motivational video series. 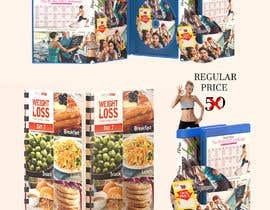 Hi there Contest Holder, can you kindly state the name of the product or do you just need a random presentation representing the Fitness/Weight Loss industry?? It's a 30 day weight loss challenge. Fitness Industry. 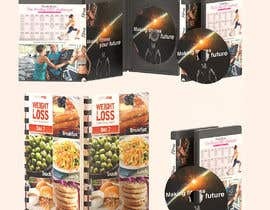 meal plans, Shopping lists, goal planner, workouts with instructional video walk throughs, restaurant guides, mindset and motivation video series, private facebook group, Healthy Recipe guide, total body toning tool box.